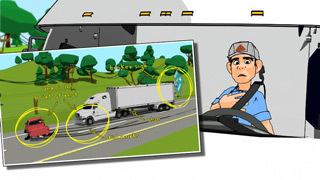 Each year the motor carrier industry appropriately spends millions of dollars training drivers in accident prevention. However, there is much less of a focus on what to do when an accident occurs. 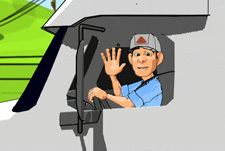 Meet Skidmore, our virtual training expert. He will walk your driver through every step of the process. In the pivotal moments when your driver needs to remain calm, Skidmore will have already provided all of the necessary training. He will instruct your driver how to safely secure an accident scene, gather vital information, and understand what to expect from an investigation. Accidents happen, and adequate preparation is key for drivers. With AccidentPlan, you’ll be geared up to tackle any challenge you might face on the road. See a live demonstration of the app and the client portal. Learn more about the benefits for the motor carrier, the driver and the insurance carrier.